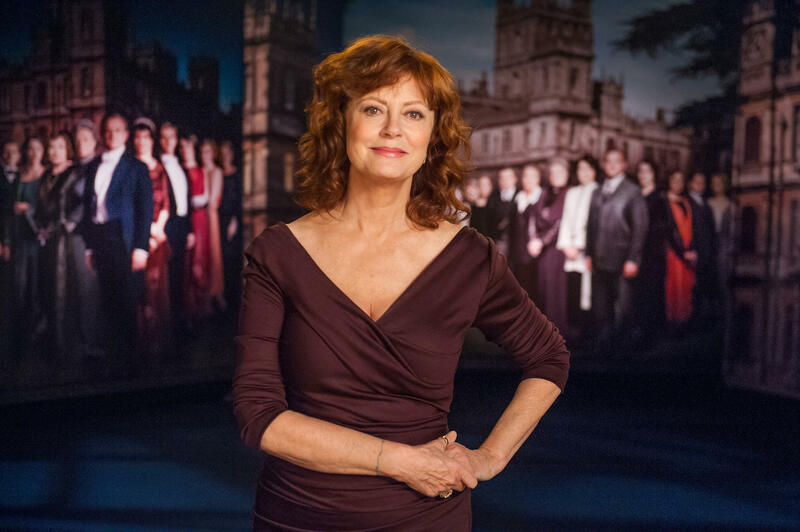 Susan Sarandon hosts Return to Downton Abbey premiering Sunday, Dec. 1 at 9 p.m. on WV PBS. A welcome treat for millions of viewers eagerly awaiting the debut of the new season of “Downton Abbey.” Return To Downton Abbey savors fond memories from the past three seasons and offers a tantalizing taste of Season 4. Hosted by Academy Award-winning actress Susan Sarandon — a devoted fan of the series who especially admires the writing of fellow Julian Fellowes — the program includes a mix of behind-the-scenes footage, interviews with creators and cast members, and video clips of favorite moments. Return To Downton Abbey premieres Sunday, Dec. 1 9 p.m. WV PBS. How will Lady Mary cope now that Matthew is gone? Will she find love again? How will cousin Rose affect the social order at the majestic English country estate? What’s in store for Anna and Bates? How does Branson adjust to his new role as agent of the estate? Structured around three themes, Return To Downton Abbey explores “The Changing World of Downton Abbey,” “The Women of Downton Abbey,” and “Love and Other Relationships at Downton Abbey.” Cast members interviewed include Michelle Dockery, Hugh Bonneville, Joanne Froggatt, Elizabeth McGovern, Jim Carter, Shirley MacLaine, Sophie McShera and Laura Carmichael. Interviews with creator and writer Julian Fellowes and executive producer Gareth Neame provide an overview and context for the series and the upcoming season, which is sure to include more drama, rivalry, intrigue, jealousy, ambition and romance. Also interviewed is Rebecca Eaton, Masterpiece executive producer, who comments on the phenomenal success of “Downton Abbey” in America.